In the past, when you wanted to distribute your web site on CD/DVD, you had to REWRITE THE entire Web site so it would retrieve data properly and function as it does on the web. In fact, it used to be such a dreadful experience; few companies were up to the task. 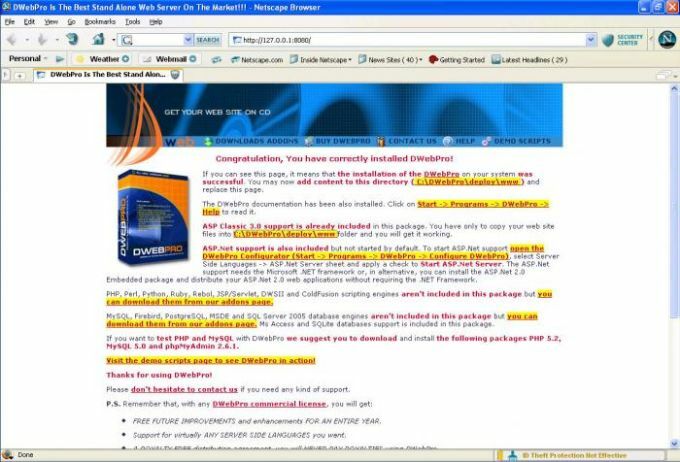 DWebPro is a stand-alone web server developed specifically for distributing dynamic web sites (for example PHP/MySQL, ASP.Net/Ms Access) on CD or DVD without needing to rewrite the web site code. With DWebPro, your company can easily create CDs or DVDs demonstrating the amazing capabilities of your web site, all while never being connected to the Internet. What do you think about DWebPro? Do you recommend it? Why?